The big storm is supposed to start 24 hours from now! That is what Howard just said. "Well," I said, "this is when they begin to cry wolf." He put in his time in Buffalo so he knows what we are talking about! Every winter in Buffalo everyone has this argument whenever we get our first big storm warning. Will it be a big one, or just our garden-variety storm like the one in the picture above, a picture I snapped coming home one night from my friend Gary's house? I bet that right now all over Buffalo, couples and roommates and office buddies are having this argument. Is this warning for real, or are they crying wolf? You have to admit the radio and TV stations have a vested interest in bad weather. They want us to tune in for traffic updates and disaster reports. During an actual storm it can get hilarious. Remember the October Surprise Storm? It was exactly a year before I met Leonard Pennario. Everyone was up for days and days and the guys on the radio began getting punchy. I still laugh remembering this on incident. One guy was giving a report of everything going wrong: power lines down, repair crews delayed, streets impassable because of fallen trees, the National Guard coming in, all of it exacerbated because our electrical infrastructure is from 1901. When he had finished this gloomy report the radio host, whoever it was, cut in. "Absolutely, Dominic!" she exclaimed in this cheery voice. Obviously she had not heard a word he said! Laughing at that made me feel better. I was in the middle of dealing with all this spoiled food and squabbling with Howard because we were crammed for the duration of the storm into cramped quarters over his garage on the edge of Black Rock. At the moment I was trying to make Sauerbraten because that was the only way I could save this pot roast that I had. You soaked it in vinegar and spices and that way it would keep for five days. Except for some stuff I needed was back at the house and also I was trying to read this old cookbook by candlelight. I thought I was losing my head and it was great to hear that I was not the only one. Three years later and Howard and I still use that line. It is appropriate at certain junctures. If someone is giving you a grim rundown of a hopeless situation that is when you can chirp, "Absolutely, Dominic!" And it will make you feel better! Back to our original question. Big storm or no big storm? Well, now I am not sure. I do not like the sound of that precipitation coming down right now, oh no no no. 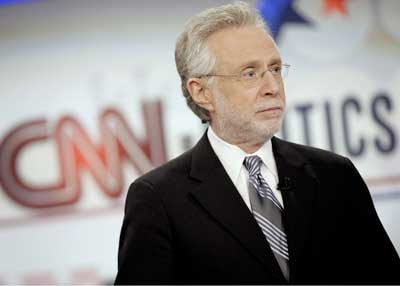 Wow, I am exacerbating the situation by watching this one Hugo Wolf song, the one I linked to above with Wolf Blitzer. It is called "The Fire Rider." I never saw it before. What an incredible and weird song! And the haunting video. Only two words for this song. It might be OK to cry Wolf. But if someone cries Wolf Blizzard, better look out!